Editor's note: This is the 11th in a series of posts by Dennis Horne about collectible books. The introduction is here. Very few copies of these books exist, which has in turn made it desirable for those who can afford the one-thousand-dollars-plus price tag. [Editor's note: This was originally written 7 years ago. Amazon currently has it starting at $350.] The original printing was for 10,000 copies, but almost all of them were destroyed by the author at the behest of church authorities. John Lund, a Church Educational System teacher, received a call from Elder Mark E. Petersen, acting on behalf of the Quorum of the Twelve and CES administration, and was asked not to distribute it. He obediently took all but 20-30 copies to the dump, incurring a substantial financial loss. The remaining copies were given to family and a few friends. The rarity of the book quickly drove up the price till it has become one of the priciest and prized modern-day collectible publications. 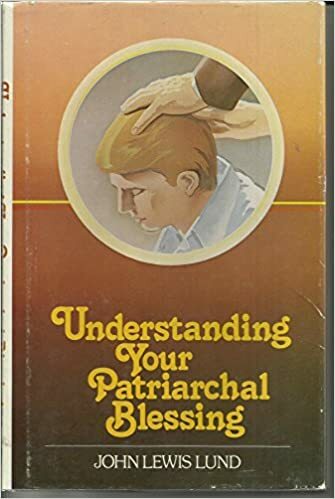 Reasons for why Elder Petersen asked the author to destroy the book are believed to have been related to the fact that it quoted from various patriarchal blessings and copious portions of the Church’s official handbook for patriarchs, a confidential copyrighted document. Also, as the title suggests, it contained material relating to the understanding or interpretation of patriarchal blessings, a matter that church leaders have counseled is between the individual receiving the blessing and the Lord, with interpretation coming from inspiration. Rumors that the book contained a reference to patriarchal blessings being like fortune-telling or that it talked about the patriarch to the Church too close to the time that particular priesthood office was discontinued are evidently unfounded. Church Educational System personnel are understandably held to stricter publication content standards than other church members by virtue of their employment and position of influence among fellow Latter-day Saints. People I know who know John L. Lund speak of him with the highest regard and respect, believing him to be an individual of sterling honesty, integrity, and spirituality. Editor's note: This is number 28 in a series of posts by Dennis Horne, sharing quotes from his book, Determining Doctrine: A Reference Guide for Evaluating Doctrinal Truth. You can read the introductory post here. The first part of each post is a new introduction, placing the quotes in context with contemporary issues. The quotes that then follow are from the Determining Doctrine book, which contains many quotes that are not readily available elsewhere or are exclusive to the book. This lifetime pursuit—gaining spiritual knowledge and experience—is the great inoculator/cure for doubt. Knowledge of Heavenly things is what gives obedient and faithful gospel students an advantage in the next life (see D&C 130:19). People who leave this life educated/experts in finance, science, sales, medicine, construction, computers, war, politics, engineering, mechanics, and a thousand other fields, will find that their earthly knowledge is largely useless on the other side of the veil. Activists and protesters will find their zeal for worldly causes worse than useless. What in all eternity could be of more use on the other side than the abilities and talents and knowledge that a missionary-preacher possesses? In a place where missionary and family history work and gospel instruction are the main labors, most other fields will fade into insignificance. Editor's note: This is the tenth in a series of posts by Dennis Horne about collectible books. The introduction is here. History of the Church (sometimes also called the Documentary History of the Church) is one of the seminal works of all Mormonism. Although it contains many revelations, it has not been canonized as scripture. 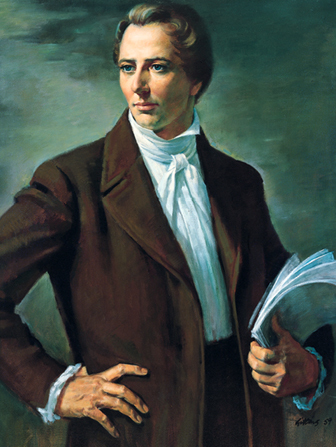 Because printings of The Doctrine and Covenants since 1981 reference the History as a means of explaining the historical setting of the revelations received by the Prophet Joseph Smith, and because of its frequent citation in official Church-produced curriculum, it has attained a status as close to “official” as can be, as well as the wrath of critics trying to discredit it. Though their attempts have failed, they have caused Mormons to take a closer look at their own history, becoming less content to leave their precious historical record unexamined. The work is not perfect and is a product of its times, but no student of Mormon history can lay claim to being such without having a familiarity with it. The best review, explanation, and description of the history that I have seen was prepared by the Church itself and is found at the back of the Joseph Smith volume of the Teachings of Presidents of the Church series. “While he was a missionary in Britain with access to the back issues of the Millennial Star, Roberts systematically gathered together and bound into three volumes the entire ‘History of Joseph.’ It had been published in serial form over a period of years. Some volumes of the Star were rare, others unavailable, but finally he had all the important volumes from fourteen to twenty-six (the articles had been, most of them, copies from the Deseret News and, earlier, the Times and Seasons). Thus his compilation of the journal of Joseph Smith, much of it gathered and dictated with the help of scribes, and composed from various other contemporary documents, was a functional reference book. Editor's note: This is number 27 in a series of posts by Dennis Horne, sharing quotes from his book, Determining Doctrine: A Reference Guide for Evaluating Doctrinal Truth. You can read the introductory post here. The first part of each post is a new introduction, placing the quotes in context with contemporary issues. The quotes that then follow are from the Determining Doctrine book, which contains many quotes that are not readily available elsewhere or are exclusive to the book. We must do all that is required in moving forward the work of the Lord in building His kingdom in the earth. 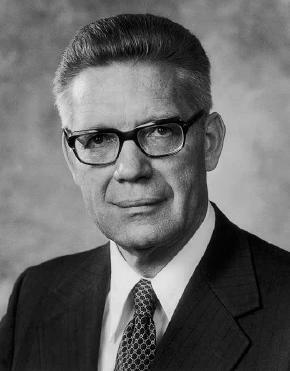 We can never compromise the doctrine which has come through revelation, but we can live and work with others, respecting their beliefs and admiring their virtues, joining hands in opposition to the sophistries, the quarrels, the hatred—those perils which have been with man from the beginning. I believe and testify that it is the mission of this Church to stand as an ensign to the nations and a light to the world. We have had placed upon us a great, all-encompassing mandate from which we cannot shrink nor turn aside. We accept that mandate and are determined to fulfill it, and with the help of God we shall do it. Editor's note: This is the ninth in a series of posts by Dennis Horne about collectible books. The introduction is here. 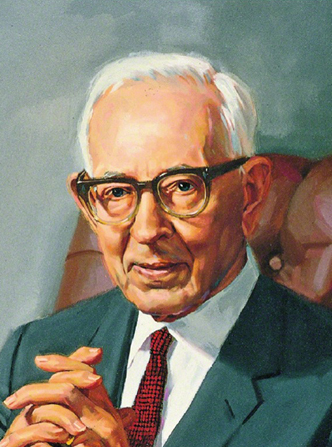 “Years ago , President Joseph Fielding Smith gave a series of lectures for the MIA, and they [the MIA leaders] weren’t quite as smart as they should have been; they didn’t know what a good thing they had, but they caught on pretty quick. He gave the first lecture and it was on the atonement and the nature of the atonement. He said these various things that we’re saying here tonight [that the atonement of Christ applies to an infinite number of worlds]. But they hadn’t been as smart as they should’ve been, so they didn’t record his first sermon. They recorded all the rest. 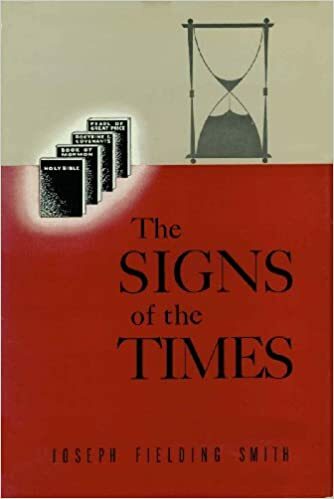 All the rest of them are published in this book The Signs of the Times. But they asked him to write the first one so that it could [also] be published, which he did. And it’s published in his book The Signs of the Times. Editor's note: This is number 26 in a series of posts by Dennis Horne, sharing quotes from his book, Determining Doctrine: A Reference Guide for Evaluating Doctrinal Truth. You can read the introductory post here. The first part of each post is a new introduction, placing the quotes in context with contemporary issues. The quotes that then follow are from the Determining Doctrine book, which contains many quotes that are not readily available elsewhere or are exclusive to the book. “He called me by name, and said unto me that he was a messenger sent from the presence of God to me, and that his name was Moroni; that God had a work for me to do; and that my name should be had for good and evil among all nations, kindreds, and tongues, or that it should be both good and evil spoken of among all people.” So stated a resurrected Book of Mormon prophet to a young farmer and day laborer named Joseph Smith. Was ever there a prophecy that proved to be truer? Prophets, apostles, missionaries, and good faithful Latter-day Saints everywhere do much to fulfill the speaking of the “good” while others in the world diligently strive to do all that they can to fulfill the “evil” part of the prophecy. And the sad reality is that the internet has made it easier than ever to lie about and slander Brother Joseph, and call it truth. Twenty-five years ago if someone got angry enough to make a fuss and rant about the Prophet, they had to expend time and significant monetary resources to gather enough lies and half-truths, put it on paper, and then print and distribute it. Now anyone can do it with a website. And what one of the devil’s dupes can post, another can copy and repost; such is the state of our modern proliferation of online falsehood. Yet the next life is not far distant, and judgment awaits. Editor's note: This is the eighth in a series of posts by Dennis Horne about collectible books. The introduction is here. 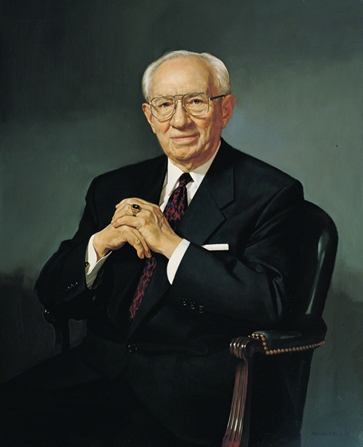 “In interviewing teachers and other members of the Church President Smith discovered there were so many misconceptions and so much ignorance about gospel principles and church history, that he accepted an invitation from his neighbor, Richard L. Evans, editor of the monthly Improvement Era (now The Ensign) magazine to conduct a question and answer column, entitled ‘Your Question,’ which began in May of 1953 and was continued for nearly 14 years, until March 1967. This became probably the most popular feature of the magazine. The questions answered by President Smith with the addition of several from personal correspondence were later published in five volumes, Answers to Gospel Questions, from 1957 to 1966, compiled and arranged by his son, Joseph Fielding Smith, Jr.
“Frequently in his journal through these years President Smith noted the tremendous amount of time it was taking to conduct this column. In 1963, for instance, after 10 years at it, he observed, ‘Since I accepted the invitation of the Era to answer questions I have been flooded with them. Some are good interesting questions and many are not. I do not endeavor to answer them all…. I receive a great number of letters containing all kinds of questions. Some of them are worthy of answers and many are not. This takes a great part of my time. Some of the questions I ignore when they are unworthy…. Some are asking for explanation of mysteries or things that are foolish or at times that a small child should be able to answer’” (Smith & Stewart, Life of Joseph Fielding Smith, 320). Editor's note: This is number 25 in a series of posts by Dennis Horne, sharing quotes from his book, Determining Doctrine: A Reference Guide for Evaluating Doctrinal Truth. You can read the introductory post here. The first part of each post is a new introduction, placing the quotes in context with contemporary issues. The quotes that then follow are from the Determining Doctrine book, which contains many quotes that are not readily available elsewhere or are exclusive to the book. Note: this is the sixth of a six-part series examining the Adam-God theory from the viewpoint of three modern (though deceased) apostles, and now giving the position of the Church on the matter. Scriptures embodying the ordinary signification—literally that of Parent—are too numerous and specific to require citation. The purport of these scriptures is to the effect that God the Eternal Father, whom we designate by the exalted name-title “Elohim,” is the literal Parent of our Lord and Savior Jesus Christ, and of the spirits of the human race. Elohim is the Father in every sense in which Jesus Christ is so designated, and distinctively He is the Father of spirits…. Editor's note: This is number 24 in a series of posts by Dennis Horne, sharing quotes from his book, Determining Doctrine: A Reference Guide for Evaluating Doctrinal Truth. You can read the introductory post here. The first part of each post is a new introduction, placing the quotes in context with contemporary issues. The quotes that then follow are from the Determining Doctrine book, which contains many quotes that are not readily available elsewhere or are exclusive to the book. Note: this is the third of a three-part series on Elder McConkie and the Adam-God theory, and is part of a larger six-part series reviewing explanations about the theory by Elders Lee, Petersen, and McConkie. The six-part series is in turn part of a larger blog series on Determining Doctrinal Authority in Mormonism. The final and sixth post on the theory is next (#25). Extra attention has been given to this false theory because it provides opportunity to examine in-depth and in detail the true position of Adam in the plan of salvation and also some of the exceptions, subtleties and nuances within the fallible yet inspired nature of prophets of God. Editor's note: This is number 23 in a series of posts by Dennis Horne, sharing quotes from his book, Determining Doctrine: A Reference Guide for Evaluating Doctrinal Truth. You can read the introductory post here. The first part of each post is a new introduction, placing the quotes in context with contemporary issues. The quotes that then follow are from the Determining Doctrine book, which contains many quotes that are not readily available elsewhere or are exclusive to the book. Note: this is the second of a three-part series of explanations from Elder Bruce R. McConkie about the Adam-God theory, as part of a larger six-part sub-series on the same subject. See the first and third parts for further information. The material is being presented in roughly chronological order, with exceptions. Every insightful student [of the gospel] will see . . . a total and complete refutation of one of the great heresies of our dispensation, a heresy that refuses to die and continues to live because it is nourished and spread by the enemies of the Church. We speak of the so-called Adam-God doctrine. There is no better way to refute a heretical doctrine than by teaching the true doctrine. . . .
Error always dies when truth is born. As the rising sun of a new day destroys the darkness of the night, so truth automatically causes falsehood to fade away into a forgotten nothingness. Darkness cannot exist when light abounds. But because some, for ulterior and private reasons of their own, choose to toy with, keep alive, and sponsor these false concepts, it seems wise to [give] a few pointed expressions in this field. . . . It . . . seems appropriate to expose the foolishness and falsity of the views some hold about the common father of all mankind. Editor's note: This is number 22 in a series of posts by Dennis Horne, sharing quotes from his book, Determining Doctrine: A Reference Guide for Evaluating Doctrinal Truth. You can read the introductory post here. The first part of each post is a new introduction, placing the quotes in context with contemporary issues. The quotes that then follow are from the Determining Doctrine book, which contains many quotes that are not readily available elsewhere or are exclusive to the book. Note: This is the first of three posts reviewing Elder McConkie’s explanations in a six-part review of the Adam-God theory. See the first post (#20) in this sub-series for an introduction to the false theory and further information about it. Next, there will be two other posts containing Elder McConkie’s teachings and explanations, followed by one covering the position of the Church on the matter. Along with discussing and refuting the theory itself, another reason for reviewing this issue is because it affords the opportunity to teach true doctrine about Adam’s place in the plan of salvation, and also further explanation about prophets and their relationship to scripture and each other. Some of the material from Elder McConkie has never been seen by the public before, not even in Determining Doctrine. Elder McConkie’s position on the Adam-God theory was fairly simple—Brigham Young’s false teaching that Adam was God the Father contradicted Brigham Young’s true teaching that Adam was Michael, the ancient of days and archangel, and the first man on the earth. One of the most well-known documents in which Elder McConkie explained that position was in a February 1981 letter to BYU English professor Eugene England, replying to England’s letter to him. England had been presenting an article elucidating a theory that God the Father possessed all knowledge and truth in the sphere of His children, but that He was still learning new truths in His own higher sphere among the Gods. And it contained quotations from Brigham Young. For those readers unacquainted with Eugene England, he was a liberal doctrinal speculator and unorthodox-nonconformist who occasionally bordered on heresy/dissidence. His equivalent today might be someone like Terryl Givens—unorthodox views, promoting gospel doubt as a gift of the Spirit, revising the apostasy and restoration narrative, a proponent of popular modern social philosophies, etc. Needless to say, England’s published doctrinal views did not please the Brethren. Of him, one of the apostles said to Elder McConkie: “Oh dear, haven’t we rescued him enough times already?” Joseph Fielding McConkie told me that even though his father offered in the letter to meet with England in his office to discuss the issue, England never would. Somehow the letter leaked out and found its way around BYU and also into the hands of an unscrupulous anti-Mormon group that eagerly copied and sold it to others. As the letter became more widely circulated, it seemed that each successive critic with a website and an axe to grind trumpeted the letter as though it were their own astounding discovery. Editor's note: This is number 20 in a series of posts by Dennis Horne, sharing quotes from his book, Determining Doctrine: A Reference Guide for Evaluating Doctrinal Truth. You can read the introductory post here. The first part of each post is a new introduction, placing the quotes in context with contemporary issues. The quotes that then follow are from the Determining Doctrine book, which contains many quotes that are not readily available elsewhere or are exclusive to the book. Note: This is the first in a six-part sub-series examining some reactions from selected apostles to a false historical/doctrinal theory. Although the so-called “Adam-God theory” might be losing some of its presence and staying power in modern times, it is still continually dug up, dusted off, and falsely pronounced to be Mormon doctrine by anti-Mormons, cultists, and other critics of the Church. Each group has its own agenda: some who believe it seek its acceptance by the Church, others seek to embarrass the Church with it, and a third group seeks to jeopardize Brigham Young’s standing as a prophet of God with it. Each of them has failed in their efforts. Most Latter-day Saints have never heard of it and are (thankfully) ignorant of the much-ado-about-nothing fuss being made. Because of the internet and the ever-growing number of websites run by antagonistic and critical activist groups, it is increasingly possible for average and often uninformed Latter-day Saints to encounter what must seem to them to be one weird and incomprehensible bit of theorizing; also to encounter explanations and bias that hinders instead of helping. Just when a person needs the best light and understanding they can get for proper contextual inoculation, the self-serving activist/critic/cultist/ignorant evangelical throws them a curve ball hoping to shake their testimony and faith in whatever way they can. Editor's note: This is number 19 in a series of posts by Dennis Horne, sharing quotes from his book, Determining Doctrine: A Reference Guide for Evaluating Doctrinal Truth. You can read the introductory post here. The first part of each post is a new introduction, placing the quotes in context with contemporary issues. The quotes that then follow are from the Determining Doctrine book, which contains many quotes that are not readily available elsewhere or are exclusive to the book. Below are some comments and observations from Church leaders regarding the Journal of Discourses, an early (second half of the 19th century) 26 volume compilation of sermons and addresses by Church leaders and prominent elders. These discourses were taken down in shorthand by clerks and were given in a wide variety of places, times, and circumstances. Most were published in the Deseret News soon after they were delivered, and were later compiled into the Journal, with many editorial changes made during the publication effort. Much of the work was done by an early British convert to the church named George D. Watt, although other stenographer-clerks took over for him in later years. 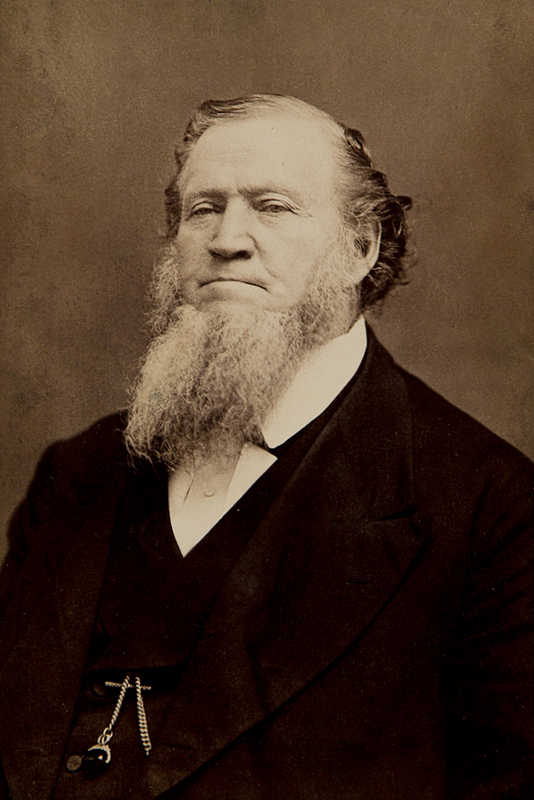 While of substantial worth in providing the modern Church with an understanding of the opinions and views of the early brethren, especially President Brigham Young and some of his successors, they are not considered doctrinally authoritative, official or binding. Their collective contents have never been approved by the leading councils of the Church nor sustained by church members assembled as being binding on them, as have the scriptures. To the extent that the contents of these 26 volumes are in accord with the doctrine taught in the standard works of the church they can be profitable, but to any extent that their content might disagree with the scriptures they are not. I have seen fundamentalist-cultists try to use this (1861) statement by George Q. Cannon to confuse readers about the status of the JD: “The Journal of Discourses deservedly ranks as one of the standard works of the Church, and every right minded Saint will certainly welcome with joy every Number as it comes forth from the press as an additional reflector of ‘the light that shines from Zion’s hill.’ . . . 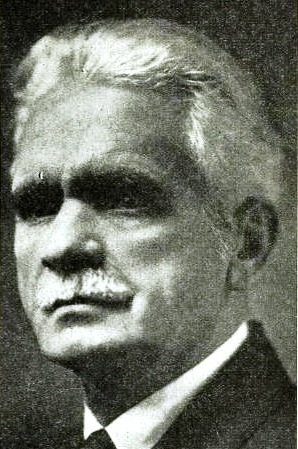 The Publisher” (George Q. Cannon, editor and publisher), preface). 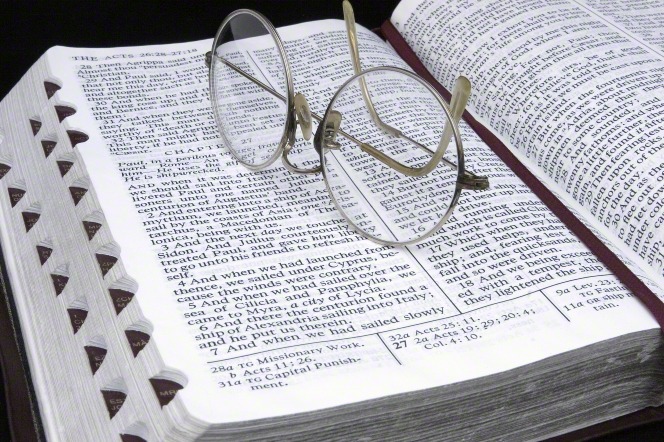 Two issues must be observed: one, at the time these volumes were being printed the term “standard works” referred to several other well-known books of Mormon theology and history besides the scriptures. 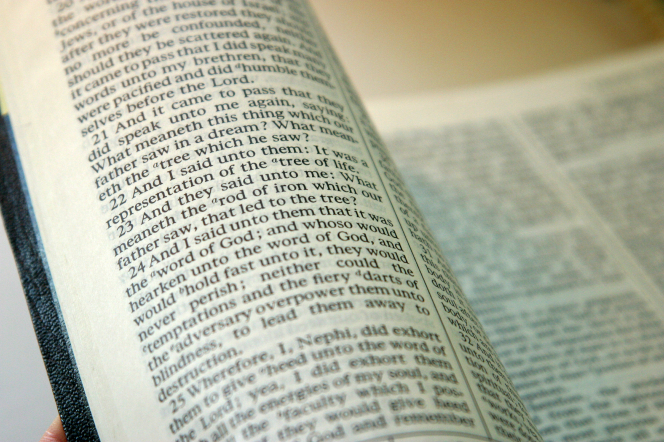 It wasn’t until around 1900 that, through the influence of James E. Talmage and President Joseph F. Smith, the term came to signify only our present four books of scripture. Secondly, even if he had (which he did not) meant that the volumes should be accepted as scripture, Brother Cannon did not have the authority to so designate them. There are a couple of perspectives that may help to provide a more thoughtful approach to the content of the Journal. One relates to its accuracy, and another to how it has been used by more recent Church leaders; both need review. Editor's note: This is the seventh in a series of posts by Dennis Horne about collectible books. The introduction is here.